Sweepstakes! 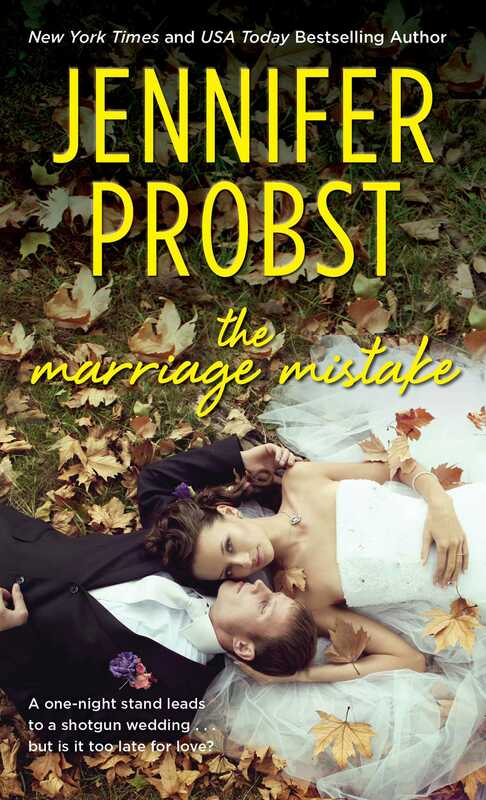 Say ‘I do’ with Jennifer Probst! To kick off this sweeps, let me show you a little something that my family has heard me recite countless times. Not kidding–anyone who we remotely know and gets engaged–this is the first thing that comes out of my mouth. Hope you smiled a little bit at that. 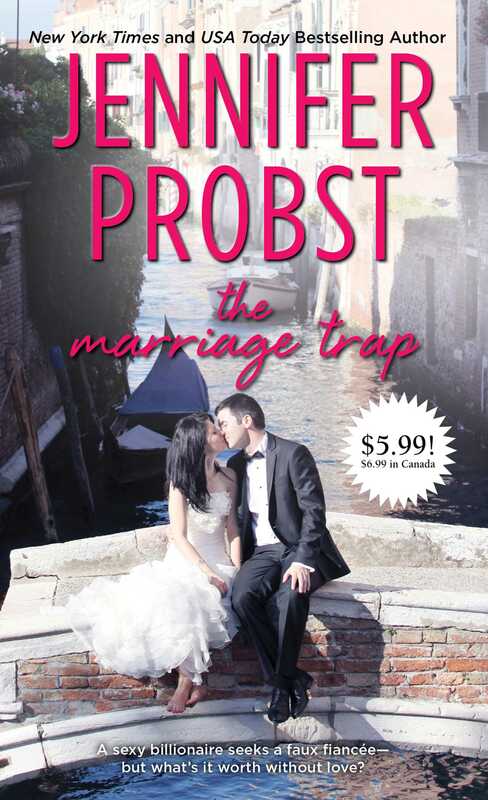 It certainly seems to work out for the brides in Jennifer Probst’s Marriage series! Somehow, the ladies all approach marriage as a business deal. Even though it started out that way, they soon find it hard to deny the feelings that come out of it. And in the end, isn’t marriage really about love and life with your best friend? Julia Roberts thinks so in My Best Friend’s Wedding and Chandler and Monica from Friends were besties for years before dating and getting engaged. So tell us, what’s your favorite wedding scene in a movie or TV show? 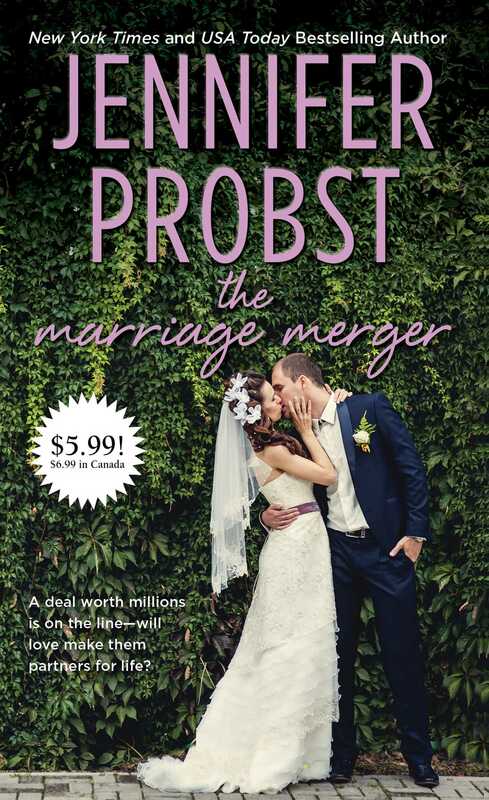 Answer in a comment below by 5PM on October 7th for your chance to win our XOXO wedding themed prize pack, which includes all four books from the Marriage series. 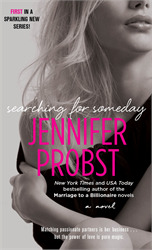 Plus, you’ll get a $50 gift card to Williams Sonoma, Williams Sonoma’s Bride and Groom Cookbook, a planner to remind you of the small details in life, and *get excited* an advance copy of Jennifer Probst’s first title in her newest series, Searching for Someday. Click here for complete contest rules. When Kate launches her own matchmaking company, Kinnection, with her two best friends in a cozy New York town, she has to put aside her own romantic disasters to make her business a success. But when a furious Slade stalks into her office and accuses her business of being a scam, Kate is given the ultimate challenge to prove herself--find Slade his match. I have had this series on my Want To Read list, so I’d love to win this! My favorite wedding scene from a movie is at the end of 27 dresses where she makes all of the people dress up in the bridesmaid dresses she had to wear for their wedding. It makes me crack up every time! My favorite wedding scene is on Full House when Jesse sings Forever to Becky. Absolutely love that song! All of the wedding scenes in Runaway Bride…but especially the last one! My favorite wedding scene is the almost-wedding from While You Were Sleeping. Lucy objects to Peter and chooses Jack instead. Drama ensues for the family, except for Grandma who is taking pictures with her flash-cube camera 🙂 Great scene! My favorite wedding scene? Every wedding (or non-wedding) in Four Weddings and a Funeral. I also love the final scene in The Wedding Date. Thanks for the great giveaway!!! My favorite wedding scene is on Grey’s Anatomy when Meredith and Derek give up their wedding for their friends Izzy and Alex because Izzy is sick with cancer and always dreamed of the wedding she planned for Meredith. It has to be when her groom surprises her with her own personal serenade during Love Actually…pure romantic at heart! My favorite wedding scene is from the tv series Rhoda . An oldie…the wedding scene in The Graduate! I love the Wedding Date, when he says he’s miss her even if they hadn’t met 🙂 I’ve wanted to read this series, hope I win! Thanks for the giveaway! I like the wedding in Robin Hood, Prince of Thieves. I loved Kevin Costner! I love Father of the Bride. Thanks for the giveaway! This isnt considered a wedding scene but I loved the movie Proposal with Sandra Bullock and Ryan Reynolds. She is his boss and they pretend to be engaged so she isnt deported but one of the funniest parts is when she is trying on the wedding gown that has been passed down generations and the breast parts is huge and it sags on her, oh my gosh I love it, too funny. Great giveaway. This question is so hard! It is either My Big Fat Greek Wedding or Love Actually. All the books will be on my “to read” list. Thanks for having the giveaway, would love to win. I love weddings. Fictional or real it doesn’t matter. I really like the solemnity of the marriage rite. My favorite wedding scene is the food fight in Nanny McPhee that stops the wedding then snows and the wedding continues with the best bride. I Love the Princess Bride. Nice clip. I love all weddings, but I did lust for one like Maria’s in The Sound of Music… As a young girl, I was glued to TV watching a wedding show (Bride and Groom, maybe?). I had my wedding planned long before I found my groom. 🙂 and 39 years later we are still married! I am a fan of the Sweet Home Alabama wedding scene. I am in love with her dress. The outside/back yard feel is so simple and elegant. 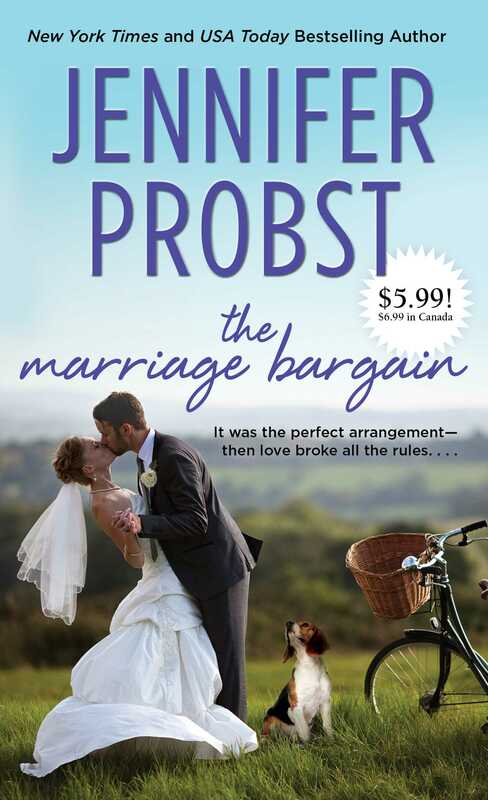 Plus I love that she discovers she is still in love with her first husband! As far as tv goes, I really liked Jim and Pam’ s wedding on The Office. It was roght after video of people dancing down the aisle was popular on you tube. Loved when he cut his tie! One of the weddings in Four Weddings and a Funeral when one of Hugh Grant’s friends can’t spit out his vows and blows his wife to be’s name. My favorite movie scene is on Friends when Ross accidentally says “I take thee Rachel” instead of “Emily” and Rachel asks if she should go up there! Love Chandler and Monica’s wedding from friends! The Graduate when Dustin Hoffman is trying to stop the wedding and Father of the Bride….all of that is so true and funny! Thanks for the chance to win! I liked Father of The Bride movies. The ones with Steve Martin who reminded me of my uncle when my cousin got married. If things could go wrong…..well, they did. I love the end of 27 dresses when everyone has to wear the bridesmaid dresses they gave her. I love the Princess Bride – my friend recently got married and the pastor actually let them re-enact the marriage (“twu wuv”!). It was pretty amazing. I love weddings and people getting married. I love to watch them cause it always makes me sad. One of my favorite, most romantic scenes is from Breaking Dawn. I am a big fan of the books and the series and just felt like it completed them. I also love the wedding of Ross & Rachel when they got married in Vegas on Friends. I loved that they were drunk and Ross had ink all over his face. Funniest drunk movie wedding ever. My favourite wedding scene is the one in Shrek where he declares his love for Princess Fiona at the altar, where she’s supposed to be marrying Lord Farquaad. True love prevails! There are so many that came to mind, but my favorite has to be that (would be marriage) of Robbie (Adam Sandler) and Debbie, in the The Wedding Singer. Even though the wedding was never completed, I thought that Robbie’s reaction to being stood-up was hilarious. I would have to say my favorites are the wedding scenes from The Wedding Date and While You Were Sleeping. The wedding I’m looking forward to is Castle and Beckett’s on Castle!!!! FANTASTIC giveaway! Thanks! Matthew and Mary on Downton Abbey! Those two had been through so much, and even right to the end you were on the edge of your seat, breathless that it might not happen. But Mary got to ride through the village in a beautiful carriage in the most exquisite dress, and when she met Matthew at the altar, he whispered, “You came. To be honest, I wasn’t completely sure you would” and she smiled back, “I’m glad to hear it. I should hate to be predictable.” Classic Mary and Matthew, and one of the best TV weddings ever! Definitely 27 dresses – I loved all the “brides” in their sometimes horrible bridesmaid dresses! My favorite wedding scene is from When in Rome, with Kristen Bell and Josh Duhamel. I want to run into the Trevi Fountain at my wedding! My favorite wedding scene is Lily and Marshall’s wedding on ‘How I Met Your Mother’. Even after all the disasters, a small wedding with their best friends is the epic ceremony they were striving for. I liked the wedding scene in the movie Sixteen Candles.